Freeman Fly interviews Harald Kautz Vella and Cara St. Louis. 20 years of research into Chemtrails have lead to unusual consequences; Morgellons, Mind Control, and Black Goo rise to the surface. 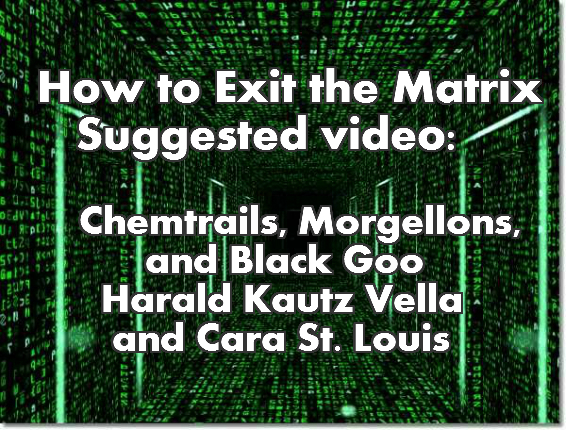 Harald Kautz-Vella talks about electromagnetic and biological weapons, nano technology, DNA restructuring, Morgellon’s disease and a substance called Sentient Oil or “Black Goo” which mirrors the consciousness of humans and that of alien entities such as the Archons. He is a physicist, geologist and author living in Germany. Cara St. Louis is an American activist and author who has been traveling the world speaking about The Aerosol War since 2010. She shares a snapshot of the 20th Century as an all-out social engineering war against humanity with the goal of cultural revolution. Cara asks, can we remember who we are and take back the power; Our Imagination. What is the Matrix Control System?